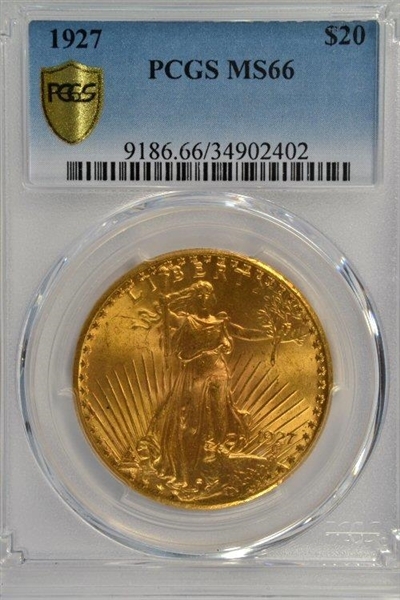 As nice as possible a GEM+ 1927 St. Gaudens $20 Gold Piece! This example, graded MS66 by PCGS, is simply gorgeous on both sides with fabulous color, luster, and surface qualities. For the person who commands the very best!